Founded in 1963, by Fred Carrillo, Carrillo’s state of the art manufacturing facility in Irvine, California is a symbol of continued commitment to our customers. We remain at the forefront of the industry by applying the latest in technology, setting a benchmark for the industry. In 2008 Pankl Racing Systems, an Austrian based racing parent company, acquired Carrillo industries. 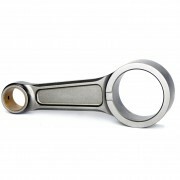 Recognized as a premier manufacturer of connecting rods for high performance engines, the Carrillo connecting rod is a precision, high strength, quality piece. 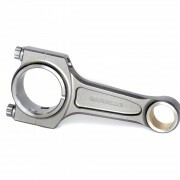 Over forty-five years of experience enable Carrillo to design and manufacture a connecting rod that reflects the optimum balance between lightweight and durability. 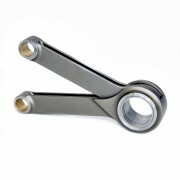 We offer a broad range of unique and specific application connecting rods and components. 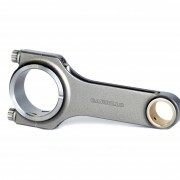 Whether you are a professional racer or a weekend warrior, Carrillo prides itself in giving you the best Connecting rod possible for your application. We continually strive to look for new technology and materials. Along with extensive R&D, Carrillo attends a variety of tradeshows and continually promotes product through engine build ups, sponsorship partnerships and industry specific advertisements. Click here to take a look at the Carrillo product catalogue.